Andy Poplar had a successful career earning shed-loads in advertising. He gave it all up to etch glass and be a stay-at-home dad. It was a good decision. So, tell us about Vinegar & Brown Paper – what is it and what do you do? As a contemporary glass etcher, I take vintage or iconic pieces of glass and bring them to life with typography, language and a slightly askew way of looking at the world. What were you doing before Vinegar & Brown Paper? How did you make the transition? Advertising creative gets burnt out by the industry. Quits. Becomes stay at home dad. Has an idea about etching words onto glass. Sets out to mend his head (with vinegar and brown paper). Tell me about the process of etching a bottle. There are several rather unglamorous stages – the interesting two for me are the moment you think of the perfect words to etch and the moment you finish cleaning off the glass and hold it up to the light. What's your favourite message you've ever etched? 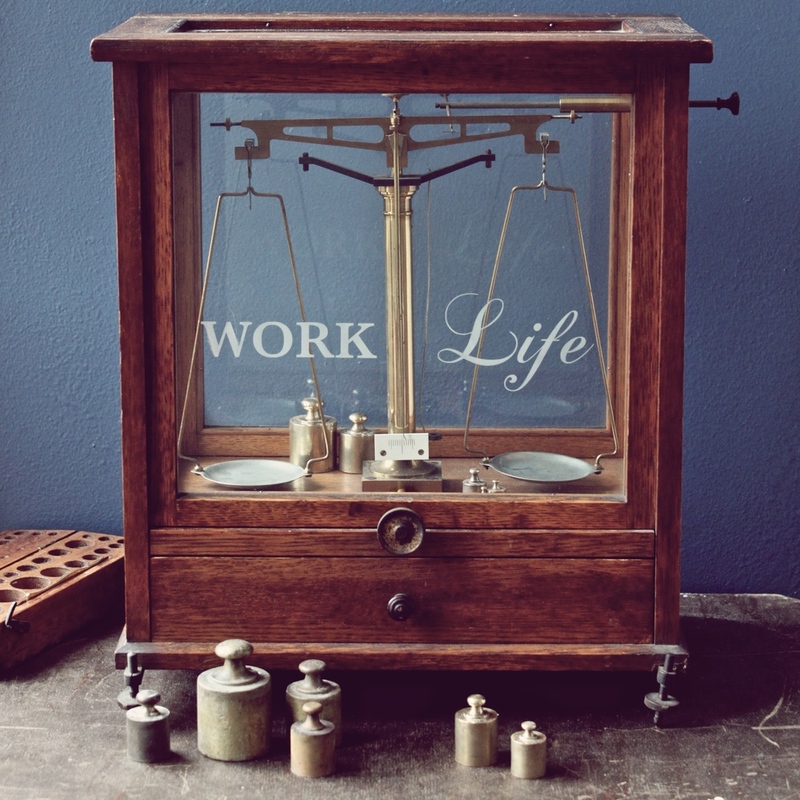 A set of vintage apothecary scales with the words 'work' and 'life' etched on it. The myriad of connections that occur between absolutely anything and absolutely everything. Anglepoise type 1228 lamp, iPad and usually a book by Haruki Murakami. Alan fletcher. Thomas heatherwick. Haruki Murakami. ...felt that i wasn’t just making all of this up as I go along. Obscurity Knocks by the Trashcan Sinatras. What would your own shaving mirror say? ‘Today will be better.’ (Actually, it does say that). Andy etches vintage glass bottles, ink wells, mirrors, sweet jars and kitchenalia with witty phrases, messages and anecdotes.